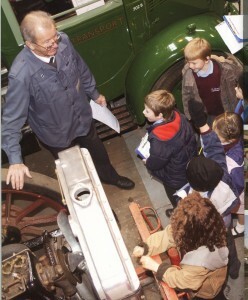 As a charitable trust with custody of a unique and valuable transport heritage, the Museum has a strong commitment to the facilitation of learning and participation. The display hall is being fitted out to offer interpretation facilities to enable visitors to understand the history and development of buses in London by showing the vehicles and associated artefacts in a time-line trail, eventually with inter-active units (diorama AV theatre, touch-screen information displays and an electronic tour guide system). 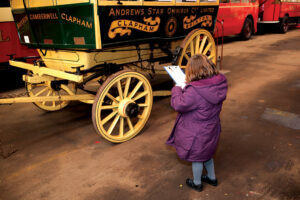 There are opportunities for visitors to handle artefacts, participate in role-playing with trained interpreters and, by arrangement, for school parties to ride on working buses so as to experience bygone bus travel. 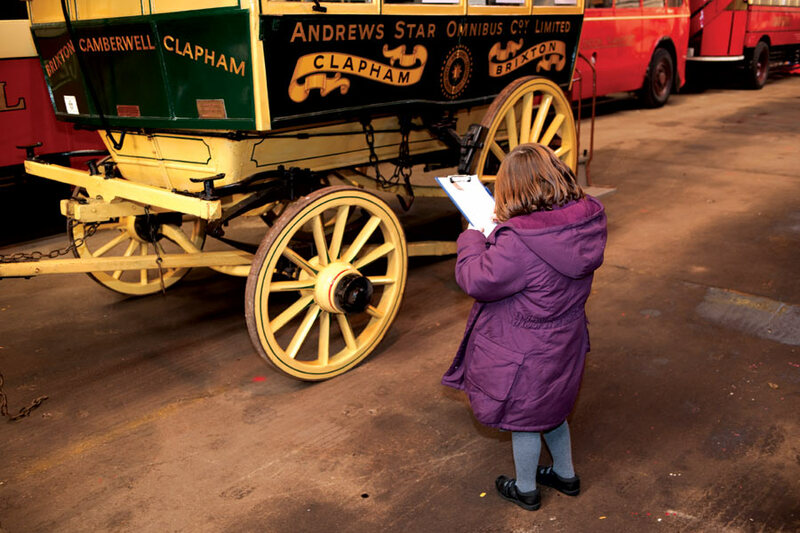 We welcome visits by schools as part of our priority to engage with younger visitors and to encourage their interest in yesterday’s and today’s buses in an associated historical setting. We will work with teachers to facilitate use of the Museum’s facilities and exhibits in support of the National Curriculum. A visit by your school party, with guided tour, can be arranged specifically to the Museum or, if required, on a joint basis with our friends and neighbours at Brooklands Museum. 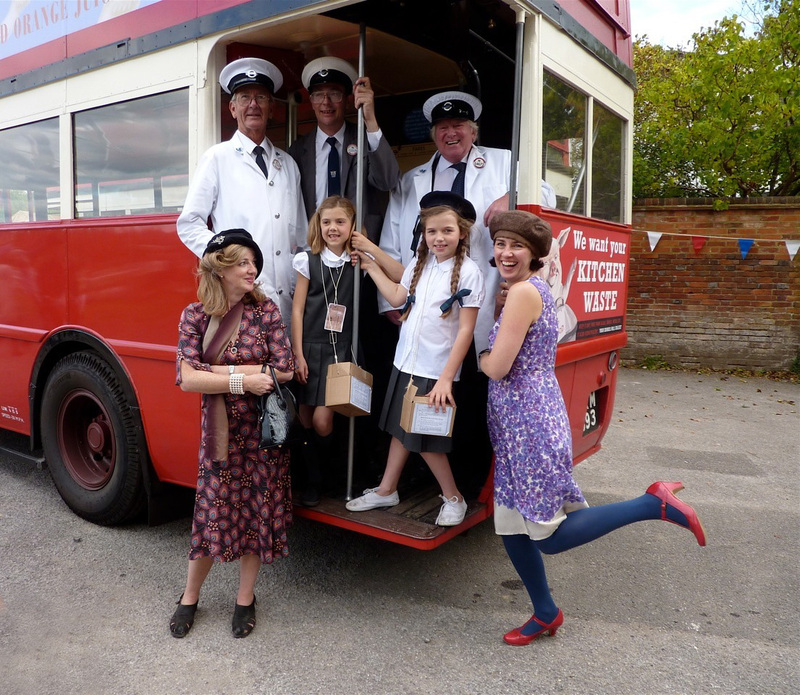 On occasions, and by special arrangement, it may be possible for your party to be collected and returned in one of our vintage buses. To discuss feasibility and cost, please make an enquiry with our Schools Liaison Officer here. Have you considered the positive effect and benefits that could be created by the visit of a historic red London double-decker to your school? 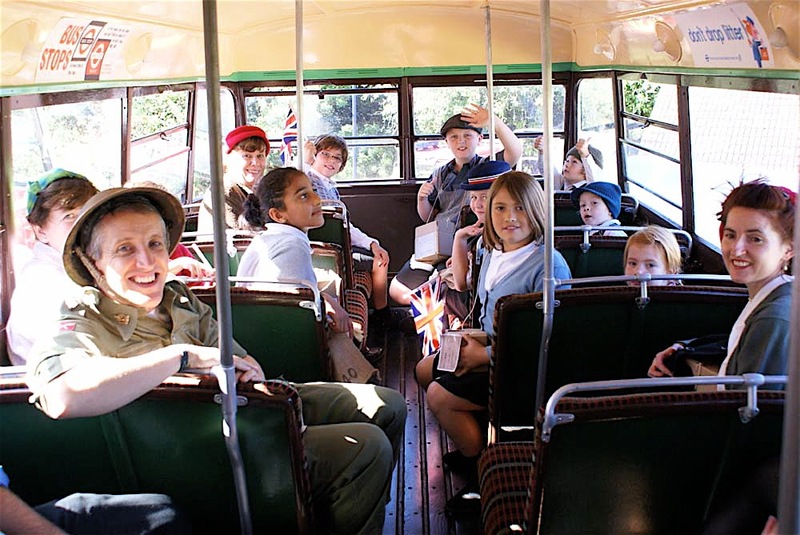 Many of today's children have never ridden on a bus, let alone experienced buying a ticket from a conductor who walks through the bus while the driver sits up front in splendid isolation! The bus has played a key role in the social and economic development of the world we live in today and our historic buses tell the stories of bygone travel and customs. To discuss the feasibility and cost of bringing a bus to your school and the possibility of providing rides for the children, please make an enquiry with our Schools Liaison Officer here. 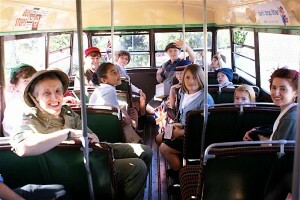 The Museum can also bring a bus to schools to assist with their re-enactment events. For example, we have worked recently on a WW2 Blitz evacuation of children from the Beatrix Potter School in London in association with Wandsworth Museum. To discuss the feasibility and cost of bringing a bus to support your re-enactment event, please make an enquiry with our Schools Liaison Officer here. The Museum welcomes approaches from engineering colleges with a view to partnership arrangements. By spending time in our workshops and/or working on specific restoration projects by fabricating items back at college, students can learn and hone traditional engineering skills in a practical, rewarding and worthwhile manner. 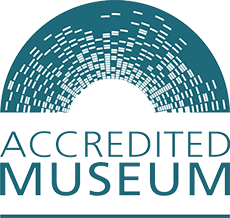 The Museum supports the Science, Technology, Engineering and Mathematics Programme and the Duke of Edinburgh’s Award Scheme. To make a preliminary enquiry about such a partnership, please contact us here.